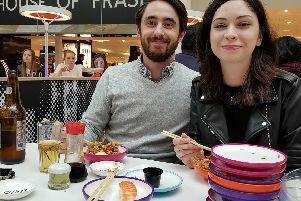 What a week for Sheffield’s food scene, writes Ellen Beardmore. There’s plenty happening – from refurbishments and new openings to the return of the popular Dine Sheffield initiative. On Ecclesall Road, the new Amaro Lounge has opened in the former Carluccio’s site, bringing a family friendly feel and an all day food menu, including plenty of brunch and burger options. Just a few doors down, the short-lived Indian street food site the Cat’s Pyjamas is being transformed into Mowgli, which specialises in home-style Indian cooking. At Dore, Mediterranean favourite Ego has now unveiled its second site in Sheffield at the former Dore More Inn, raising £2, 625 for St Luke’s Hospice with their launch events. Sheffield city centre bar the Wick at Both Ends closed for refurbishment last week. The bar on West Street – which is famous for its lemon drizzle shots and cocktails – was due to reopen this weekend with a fresh look and new menus. 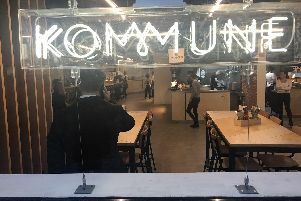 This weekend is also the launch of Kommune, the new haven of street food which has transformed Castle House. See the Telegraph website for a piece from the opening party being held tonight, March 14. And there’s still time to dine from just £5 at 40 Sheffield city centre restaurants, as part of the Dine Sheffield initiative, which continues until March 28. Some of the city’s newest restaurants – such as Ambulo and Kollective – and highly rated like Oisoi are taking part. For details of the offers and to download vouchers, visit www.dinesheffield.co.uk.